Now in stock: Cooper Pegler CP15 Electric Sprayer! The eagerly awaited, much improved Cooper Pegler CP15 electric battery sprayer is now in stock at Agratech. 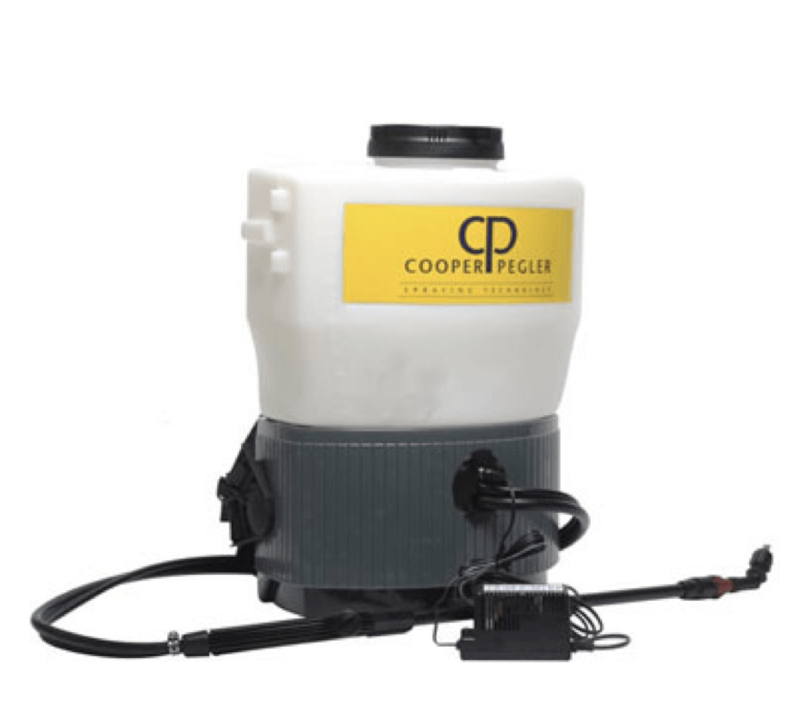 The Cooper Pegler Sprayers have world-wide standards for comfort and safety; and the non corrosive polypropylene tank, with no openings below the liquid level, sustantially reduces any chance of user contamination. This entry was posted in Agratech News, New Products and tagged Backpack sprayers, Cooper Pegler, Cooper Pegler Electric Sprayer, Cooper Pegler Sprayers, electric garden sprayers, Knapsack sprayers, www.agratech.co.uk on July 24, 2014 by agratech.